For exceptionally meritorious conduct in the performance of outstanding service. 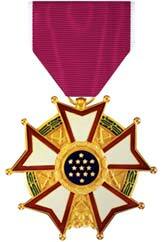 Authorized in 1942, the Legion of Merit is normally awarded to a high ranking officer of staff or flag rank. 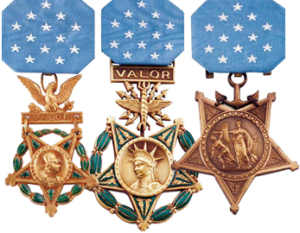 It was the first US decoration created specifically for award to citizens of other nations for service to the United States and is awarded to members of the United Nations Armed Forces for exceptionally meritorious conduct in the performance of outstanding service to the United States.